Added to our wide selection of fabrics is our Poly Cotton Printed Fabric Animal Dog. 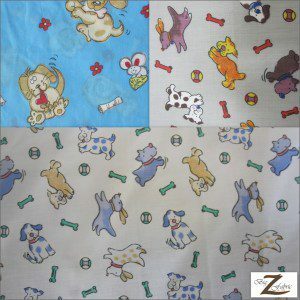 Our Dog Print is a very beautiful and high quality piece of fabric. The material is made from 65% Polyester with 35% Cotton and the width is 58″/59″ (inches). Our printed cotton is sure to be of superior quality and easy to work with for any project. Added to our wide selection of fabrics is our Printed Cotton Fabrics. 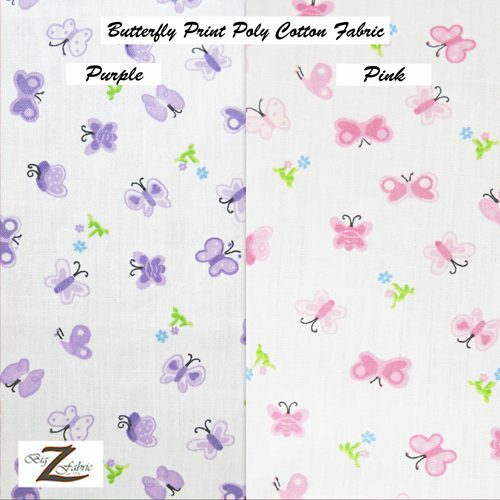 Our Butterfly Print Poly Cotton Fabric is a fun and high quality piece of fabric. The material is made from 65% Polyester/ 35% Cotton and the width is 58″/59″ (inches). Our printed cotton is sure to be of superior quality and easy to work with for any project. 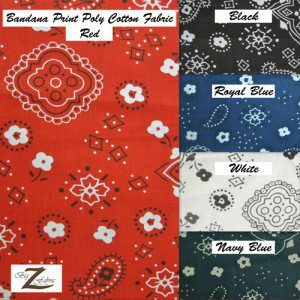 Our Bandana Print Poly Cotton Fabric is a very beautiful and high quality piece of fabric that comes in five colors. The material is made from 65% Polyester 35% Cotton and the width is 58″/59″ (inches). This fabric is sold by the yard and in continuous yards.